Good morning, Elmbrook International Committee Members from India. I have now had the wonderful opportunity of visiting all four of your new E-Learning schools. Each school is elated to be included in the program and sends special thanks to you. E-Learning classes and frequently ask for more. We are beginning to gather data on E-Learning, so we will have more information for you in the future. 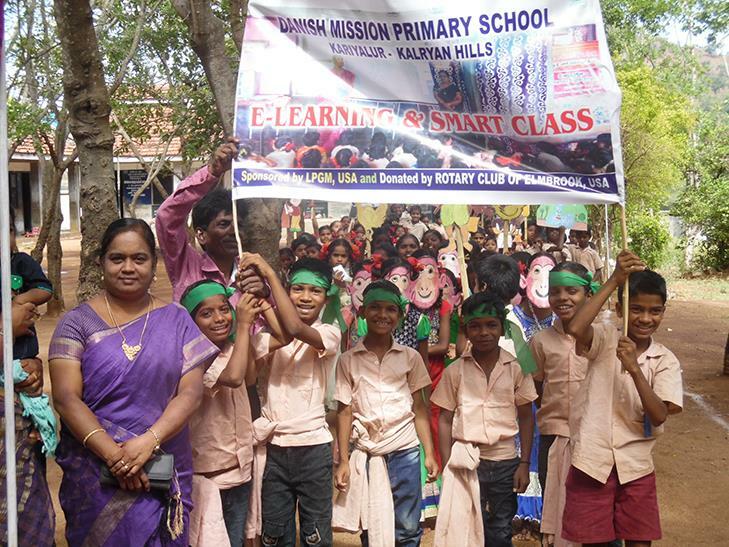 But the ALC Kariyalur Elementary School for students from tribal communities in the Kalrayan Hills in Tamil Nadu wins the prize for the most enthusiastic support of E-Learning. As you can see from the photos, parades and rallies all celebrate their appreciation of E-Learning. And they remember you! 'Elmbrook Rotary Club' rolls of the students' tongues. Parents who traveled long distances to experience E-learning for themselves can't believe that their children are learning in this novel way. 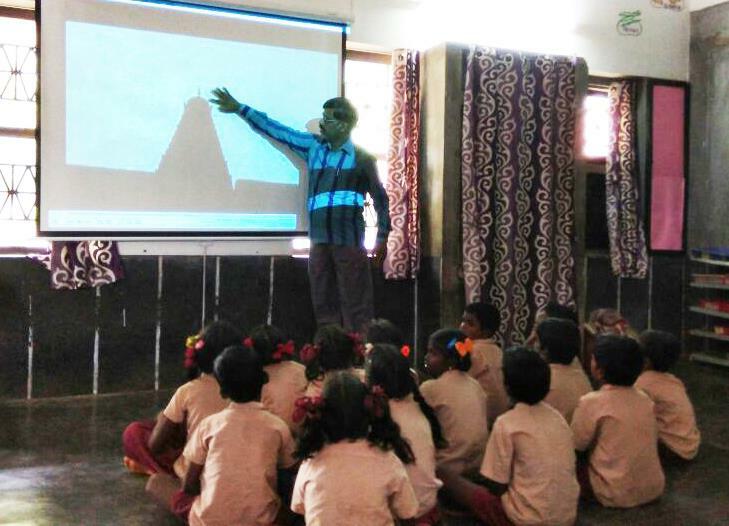 Since there are three ALC elementary schools for children from tribal communties in the Kalrayan Hills, Kariyalur Elementary school is sharing this opportunity. We continue to get support the District 2981 Rotarians. For those of you who are able to come to India in January/February 2019, the Kalrayan Hills will definitely be on the itinerary as well as the Yercaud school. You can experience all of this for yourselves. It was great to be with you and visit the Club in June. It's always like coming home. Way too many thanks for all the projects and programs you have sponsored over the years for the ALC School Project. The students are the beneficiaries.